Here are two new Listerine coupons you can print to save big on Listerine Naturals Mouthwash. 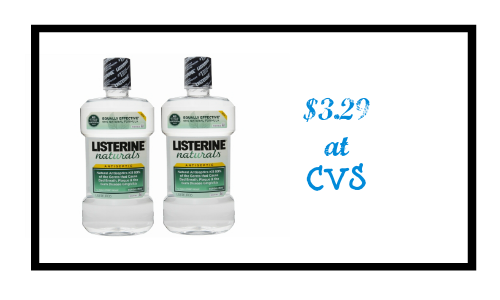 Use the $2 off Listerine coupon and get Listerine Naturals Mouthwash for as low as $3.29 each at CVS! This sale ends this Saturday, 10/25. Makes it $6.58, like getting them for $3.29 each.